Enjoy paradise in your own backyard with a custom outdoor bar Houston Texas style! We proudly custom build gorgeous outdoor bars and kitchens to seamlessly match the design of your home. Imagine the fun of entertaining your family and friends around your new outdoor kitchen bar. 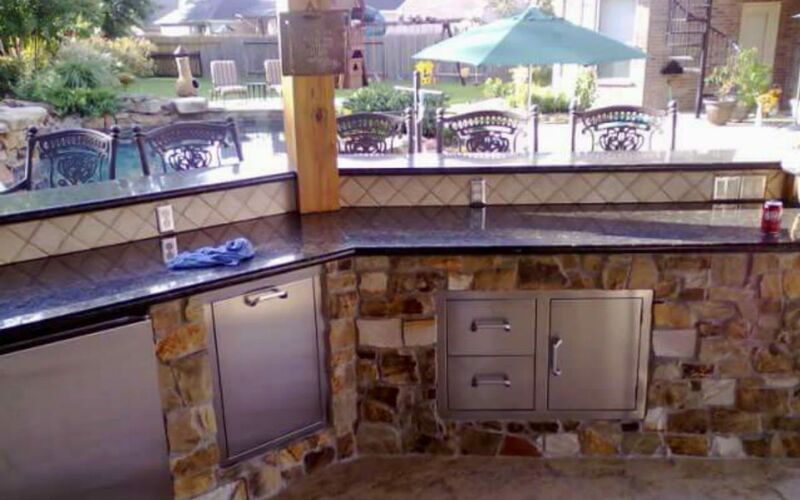 Houston Outdoor Kitchens builds 100% custom outdoor bars with superior quality materials. Transform your blah backyard into a vacation oasis with a custom design of your dreams. We are the elite contractor for custom outdoor bars Houston Texas style using the latest trends and natural materials with big Texas charm. We are the best Houston Texas outdoor kitchen and bar contractor because of our outstanding designs and customer satisfaction.